Top 15 Most Important Sass Interview Questions with Answers. Top 15 Most Important Sass Interview Questions with Answers. Latest Sass Interview Questions and Answers. Most Frequently Asked Sass Interview Questions And Answers. 1) Explain what is Sass? How it can be used? Sass stands for Syntactically Awesome Stylesheets and was created by Hampton Catlin. It is an extension of CSS3, adding nested rules, mixins, variables, selector inheritance, etc. 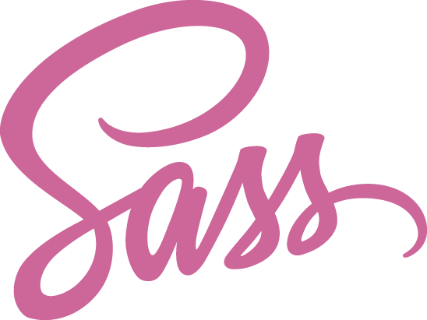 2) List out the key features for Sass? 3) List out the Data Types that SassScript supports? 4) Explain how to define a variable in Sass? Variables in Sass begin with a ($) sign and variable assignment is done with a colon(:). 5) Explain what is the difference between Sass and SCSS? Any CSS valid document can be converted to Sass by simply changing the extension from.CSS to.SCSS. 6) What Selector Nesting in Sass is used for? In Sass, selector nesting offers a way for stylesheet authors to compute long selectors by nesting shorter selectors within each other. 7) Explain what is a @extend function used for in Sass? In Sass, the @EXTEND directive provides a simple way to allow a selector to inherit the styles of another one. It aims at providing a way for a selector A to extend the styles from a selector B. When doing so, the selector A will be added to selector B so they both share the same declarations. @EXTEND prevents code bloat by grouping selectors that share the same style into one rule. 8) Explain what is the use of the @IMPORT function in Sass? 9) Why Sass is considered better than LESS? 10) Explain what is the use of Mixin function in Sass? What is the meaning of DRY-ing out a mixin? Mixin allows you to define styles that can be re-used throughout the stylesheet without needing to resort to non-semantic classes like .float-left. DRY-ing out of a mixing means splitting it into dynamic and static parts. The dynamic mixin is the one that the user actually going to call, and the static mixin is the pieces of information that would otherwise get duplicated. 11) Explain what Sass Maps is and what is the use of Sass Maps? 12) Explain how Sass comments are different from regular CSS? Syntax for comments in regular CSS starts with /* comments…*/, while in SASS there are two type of comment, the single line comments // and the multiline CSS comments with /* */. 13) Does Sass support inline comments? 14) How interpolation is used in Sass? In Sass, you can define an element in a variable and interpolate it inside the Sass code. It is useful when you keep your modules in separate files. 15) Explain when can you use the %placeholders in Sass? 0 on: "Top 15 Most Important Sass Interview Questions with Answers."